Hue culture with 700 years of Thuan Hoa - Phu Xuan - Hue is the accumulation and continuity of Thang Long civilization to reach the peak of Vietnam civilization. Hue culture includes the royal subculture and the unique folk subculture consisting of beliefs, Hue dialect, Hue singing, Hue folk songs, architecture, cuisine, lifestyle, behaviors, etc. In Hue, folk culture lies deeply in the structure of life, lasting for hundreds of years. The term folklore is used to refer to the folk literature of a region. First of all, it is the belief. 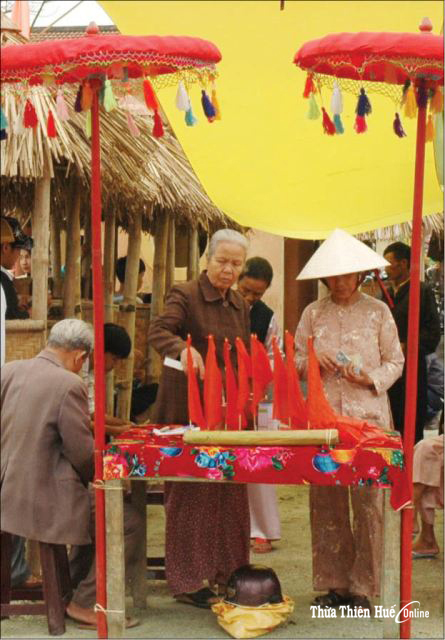 Throughout Vietnam, only Hue people have the habit of "worshipping the patron god", praying for safety and good crops. This custom is to remember the origin in ancient villages in the North and the Northern Central, but with variations. The patron god in Hue is not considered as sacred and powerful as those in Northern villages. Hundreds of festivals are held twice a year in Spring and Autumn so that villagers have chances to gather, remembering their origin. Hue dialect is based on various dialects throughout the country but it has been refined to become a distinct accent with a very special character. Hue dialect combines both the culture of Northern Region (Tonkin) and later Southern Region (Cochinchina). 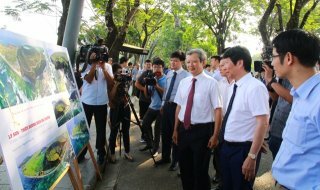 On the way to the South, Thanh Hoa-Nghe An-Ha Tinh immigrants brought along place names and the languages spoken in Northern Region. When the Nguyen Dynasty chose Hue to be the capital, many talented people were summoned to the capital to work as mandarins, skilled workers as builders. 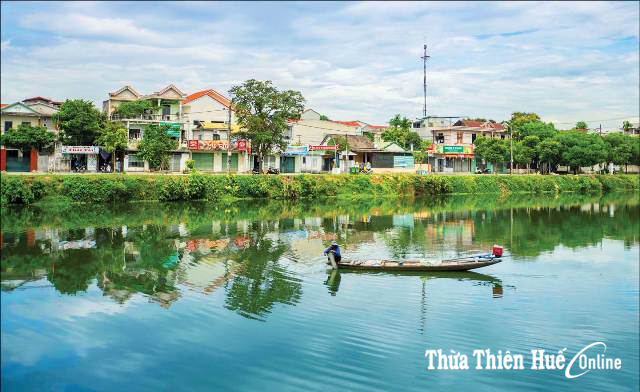 Many people from Southern Region moved to Hue to live, bringing Quang Nam, Binh Dinh , Phu Yen dialects. Hue people settled on Champa land (since 1306); their language was hence influenced by Cham language. Besides, Hue dialect also takes in words from Chinese, Indonesian, Muong languages, etc. Hue dialect is distinctively used in fairy tales, anecdotes and folk songs. 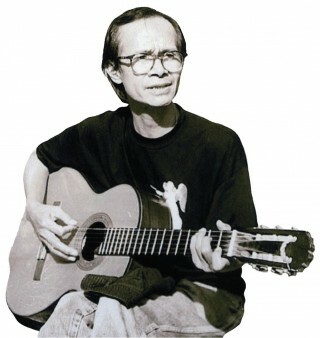 Hue singing is formed on the basis of the local accent and voice, expressing people's feelings on the slow-moving rivers and in the rice fields surrounded by bamboos or under the roofs of solitude houses, giving the listener a melancholy feeling very hard to describe. Mai nhi, nam ai, nam bang, hat ly, hat sac bua, etc. altogether form a performing space found nowhere else except in Hue. Interestingly, there is a very noticeable correlation between traditional Hue folk songs and the royal music. Hue folklore is not only the memories of the time before the settlers' heading South but also their oral works. Its age is not as old as Vietnam folklore. The settlers' thinking is no longer as innocent as that of immigrants at the dawn of history. They have started to be aware of building a more civilized life. Those factors made Hue folklore very different both in form and content. Tales are meant to explain the names of places of worship such as the tales about Thien Mu Pagoda, Tuy Van Mount, the Sun Goddess, etc. Em qua không kịp tội lắm anh ơi..."
Hue inhabitants' costume is a harmonious color combination, forming a typical Hue style. In the old days, Hue men were often dressed in simple black, women in white and purple. The boat women on Perfume River wore black and white, which looked familiar and unique. 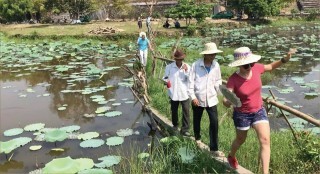 Hue is also well known for the conical hat with poems inside. The old saying "Eating in the North, wearing the Capital way" was to praise the way people were dressed in ancient Hue. Hue-styled garden houses show the harmony with nature. Hue people consider the garden a place to nourish their soul rather than a source of benefits. Hue is a garden city, a giant park with trees everywhere. Finally, Hue cuisine is top-notch. Apart from the special court cuisine for royal banquets, Hue folk cuisine is also an achievement of folk culture, forming a different cooking style with different table manners. 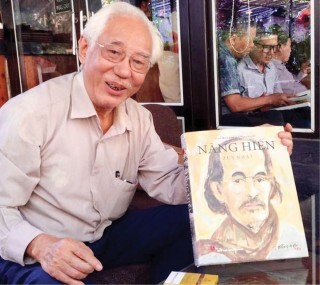 Hoang Thi Kim Cuc's book "Hue-styled Dishes" suggests 15 menus per season, 60 menus in a year with more than 300 recipes. The quantity of Hue-styled dishes in people's kitchens suffices for Hue to be listed in the map of the world's cuisine. Com hen (clam rice), bun bo Hue (Hue beef noodles), banh beo, banh nam, banh loc, banh canh Nam Pho, banh khoai, etc. are well-known dishes which have been existing for ages. Hue folklore is diverse not only in color but tempting fragrance. They all form a Hue living style for those who are aware and capable of beautifying everything in their everyday life.